Since its beginnings in 2003, METROCON has become Florida’s largest anime convention. For 2016, METROCON had a record-breaking 11,889 visitors attend the Tampa Convention Center for four days of anime panels, cosplay, shopping and events. This year, oprainfall attended for the first time from July 21-24 and was able to both tweet live from the convention floor and interview Laura Post, Robbie Daymond, and Eric Stuart. 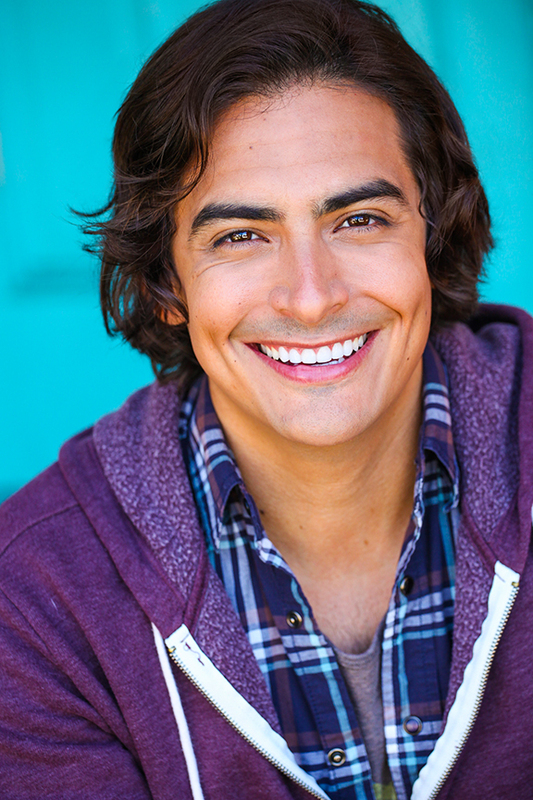 Robbie Daymond is a voice actor who is best known for his roles in the Gundam universe, Your Lie In April, Sailor Moon and Final Fantasy Type-0 HD. I sat down with him for an interview where we discussed his voice roles and his prior theatre experience, and he gave his advice for future aspiring voice actors/actresses. You can follow Robbie Daymond on Twitter, like him on Facebook, watch him on YouTube, and visit his website to find out more about him and see his upcoming projects. You can find out more about METROCON at its website, and you can follow it on Twitter. The dates for next year’s METROCON are August 3-6, and tickets go on sale on January 1, 2017. Please return Friday at 9 AM PT/Noon ET for our final METROCON 2016 interview with Eric Stuart! By: Quentin H. A special thanks to Benny Carrillo for assisting with the layout and images. Operation Rainfall: Hello, this is Quentin H. with Operation Rainfall, and you are? Robbie Daymond: I’m Robbie Daymond…with Robbie Daymond! OR: What do you do for a living, and what would people most likely recognize you from? RD: Let’s see…I’m a voice actor based out of Los Angeles who works in video games, film, cartoons, anime, audio books, and you may know me as the lead in two shows from Nickelodeon: Breadwinners and Get Blake!. But in the anime world, I’m Tuxedo Mask in Sailor Moon. I’ll be Mumen Rider in One-Punch Man on Toonami. I’m also in [Mobile Suit] Gundam: Iron-Blooded Orphans on Toonami right now. In video games, you might know me as Sorey in Tales of Zestiria and Michelangelo from [Teenage Mutant] Ninja Turtles: Mutants in Manhattan. Anything else you can find on IMDB. 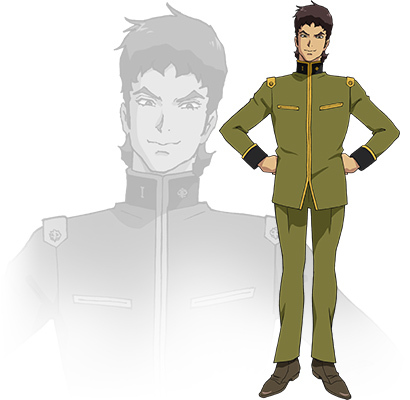 OR: Now taking some of your voice roles – You voiced Lino Fernandez in Mobile Suit Gundam: The Origin [Part III] and Gaelio Bauduin in Mobile Suit Gundam: Iron-Blooded Orphans. [Were these roles] your introduction to the Gundam franchise? So, when I got the opportunity to voice the shows, I kind of dug a little bit deeper into it. I watched some of the original – I didn’t know what [Mobile Suit Gundam:] The Origin [Part] III would be like, so when I heard [that] I was voicing Lino, I thought that it might be like a reboot of the original or maybe even the original – like a redub. So I watched some of that. Lino Fernandez from Mobile Suit Gundam: The Origin. OR: What differences did you take to approach these roles in the same [shared] universe? RD: Well, the nice thing about [Mobile Suit Gundam:] The Origin [Part III] is that it’s a standalone film. Stephanie Sheh directed it. She’s a friend [and] she’s also Sailor Moon [OR Note: She plays the role of Sailor Moon in the Viz Media English Dub of Sailor Moon.] And she gave me a real great rundown of the universe and the world — it was a little bit darker — and who this guy was [and] no spoilers – [but] the path that would take him through the movie. [Mobile Suit Gundam:] Iron-Blooded Orphans is very much – [Gaelio] is a very complicated bad guy. He’s got complicated feelings – genuine feelings about the politics that are going on in the show. So, that was really made clear by the director of that show, Chris Cason. It was a different experience, yeah. 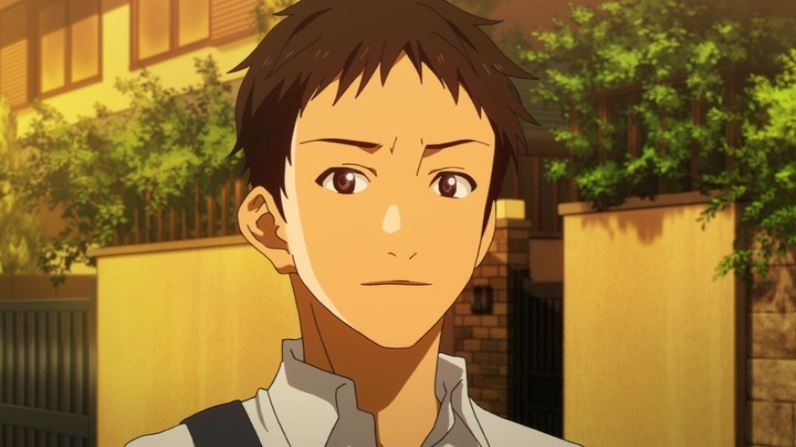 OR: You also voiced Saito in Your Lie in April. What drew you to this particular anime series? Well, I have a relationship with Bang Zoom! and it was a Bang Zoom! dub. It was actually one of my first Bang Zoom! dubs. And I think that’s why I did a supporting character in it. They [were] sort of testing how I would do in their anime world, even though I’ve been doing anime in other places. I really loved the series. It was beautiful. The way it was directed by Patrick Seitz, it was directed very realistically. They wanted more cinematic-type performances. [And] it’s that kind of show. It’s not quite as broad as, say, Fairy Tail or One Piece. [Your Lie In April] was a lot more cinematic, and that part I enjoyed. And the breakup scene from that is one still one of my favorite scenes that I’ve gotten to record. I really, really aim to rip people’s hearts out with that one. Saitou from Your Lie in April. OR: How much space do you have to interpret a character like Saito, Lino Fernandez, or Gaelio Bauduin? RD: You’re working within a framework in anime. They want you close to the Japanese tonally. But as the acting portion goes – it’s less interpretation since you’ve got something to look at, and audio to go off of, and more moment-to-moment interpretation of how you act the moments. So, in that sense, we have a lot of freedom. We can play off of someone – if they are pre-recorded, we Americanize it to make it more palatable for an English listener. There’s definitely room for interpretation for sure.